Benfica became the first team since 1965 to score 10 goals in a Primera Liga match as they thrashed Nacional on Estadio da Luz. The Lisbon side is in magnificent form, as they won twice against their city rivals Sporting in the past week. 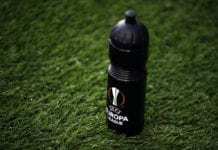 They won the first leg of the Taca de Portugal 2-1 on Wednesday and humiliated the local rivals on their home soil with a 2-4 victory on Jose Alvalade Stadium the past Sunday. 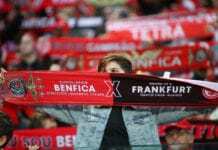 Eintracht Frankfurt will welcome Benfica to the Commerzbank-Arena in the second leg of their Europa League quarter-final encounter on Thursday night. This was their sixth straight win in Primera Liga. They are still on the second position on the table one point behind the leaders Porto, and one above 3rd placed Braga. However, Benfica closed the gap behind Porto, as their rivals in the title race drew for a second time in a row on Friday. Hector Herrera scored a leveler 2 minutes into the stoppage time at Moreirence and saved their top place on the table. The possible title decider between Porto and Benfica is set for March 3 on Estadio do Dragao. The Eagles won their last Primera Liga title in 2017, as they dominated the Portuguese football in the period from 2014 to 2017. Benfica now goes to Istanbul for the first leg of the Round of 32 tie in the Europa League against Galatasaray on Thursday.